When it comes to sixth formers looking into a university’s facilities, Plymouth’s new Marine Station will be hard to beat. 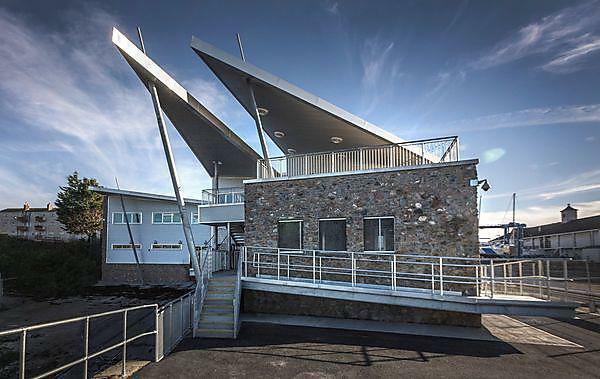 Located between the National Marine Aquarium and Queen Anne Battery, the £4.85 million development combines a waterfront teaching facility with a boathouse and crane, a compressor room for filling diving air cylinders, and drying rooms. A dozen staff, among them the academic diving team, boat skippers and technical and support staff, are based at the Station. Teaching facilities include a ‘wet lab’, where up to 50 students can study samples collected from Plymouth Sound. There is also an aquarium with continuous fresh seawater, giving students a place to store samples.